We are pleased to recognize Jeannie Moreno as our board member for September 2018. When asked why she has given so many years of volunteer service to OACAC, her answer is attributed to a love of people and community. This is a classic example of how volunteering is a two-way street, giving and gaining from the experience. Jeannie is invested in making a positive difference in the lives of people and gives of time and heart. She has served for more than 15 years as a county advisory board member, and more than 14 years on the OACAC area board. When Jeannie moved to this area from California, she was struck by the many and free services she saw available to the community and she wanted to be a part. She credits her volunteer experience with opening her eyes to the plights of others, people struggling with limited resources or sudden loss. Learning the backstories of people she has met through OACAC has increased her awareness, compassion and desire to advocate for people. Jeannie has enjoyed volunteering with events in Webster County, and also for OACAC as a whole. As an area board member, she values the knowledge she gains knowing more about OACAC programs and centers and supporting OACAC overall. One thing she considers a highlight is her role as a co-facilitator for the relationship education Life Skill workshop called Within My Reach. This workshop was part of a former MORE (Making Our Relationships Excel) project. She received facilitator training at the former Forest Institute courtesy of a five year Healthy Marriages grant called Operation Us. This Life Skills never fails to make a positive impact on the participants, their families and the facilitators as well! OACAC gained this dedicated and involved board member from a community collaborative connection made years ago, and it is our pleasure to recognize Webster County board member, Jeannie Moreno, for her dedication to service. 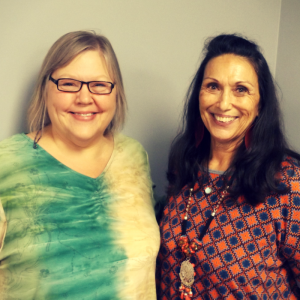 Jeannie is pictured below on the right, standing with Webster County Neighborhood Center Supervisor, Debi Reece on the left. She was recognized during the OACAC board meeting on Tuesday, September 25, 2018.